Forget the 100 meters, javelin and even synchronised swimming, the UK is pinning its hopes on IT network support for a gold medal this year. The UK is competing at the WorldSkills London event in October. WorldSkills London 2011 is the world’s biggest international skills competition, covering hairdressing to stone-masonry to ICT skills. UK network support competitor, 20-year-old Matt Mack, is currently studying for a higher degree in engineering at the University of Bedfordshire. 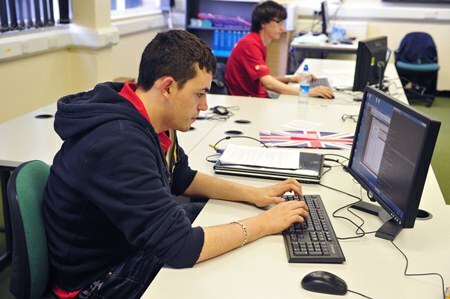 Mack won gold medal in the WorldSkills UK Microsoft Network Administrator competition in 2010 and is currently training twice a week for over five hours a day to compete again this year. Competitors complete an average of 100 hours of training after being chosen through a rigorous selection process. Over four days of the competition, Mack will have to set up complex networks from scratch in an allocated amount of time, without internet access or reference books – that means learning all the short-term commands and staying calm. He’ll be using Cisco, Microsoft and open source technologies. Part of the training includes techniques for managing pressure from organisation, Brathay Trust. Mack set up his own IT company called E-Systm.com for web design and hosting at the age of 11, making the company limited when he was 13. He now has over 450 clients, including Cisco, for his Networks Connections business. He said he saw a technician setting up a network in his Dad’s new office and thought “I can do that”. And did. Despite showing an enthusiasm and aptitude for IT at a young age, he felt let down by his IT education. The IT courses at school didn’t provide the breadth or depth he needed, and simply focused on spreadsheets and word processing instead. Mack says he recently received an email from a teacher at his old school, apologising for the lack of support he received. “When I logged on at school, teachers’ alarms bells went off. They were intimidated I could get into school servers,” says Mack. John O’Neill, deputy head of computing & IT at Barnfield College and Mack’s training manager believes young people’s talent needs to be channeled by educating about the career opportunities in the IT sector. “The problem is we’re dealing with digital natives. They’re not coming along to do the basics. We need to make sure we can show them a career path,” he says. O’Neill previously worked for BT and later set up his own company providing networking services. When he struggled to hire young, skilled engineers for his own business, he decided to go into teaching to address the shortage of young people in the sector. He predicts the training Mack will receive is equivalent of £30,000 of QA Training qualifications an employer would provide. He adds that it’s rare to find talent like Mack’s. To demonstrate the complexity of the task at hand, I had a go at setting up a simple local area network (LAN) using Cisco Packet Tracer – under O’Neill’s supervision. My feeble attempt to understand network addresses, connecting cables, subnet masks, packet loss and configure a gateway didn’t qualify me to join the network support elite. Although it did amuse Mack. Maybe next year? WorldSkills will take place at ExCeL London between 5-8 October.